In the same way businesses that are for profit work together, organizations work together in the nonprofit realm as well. 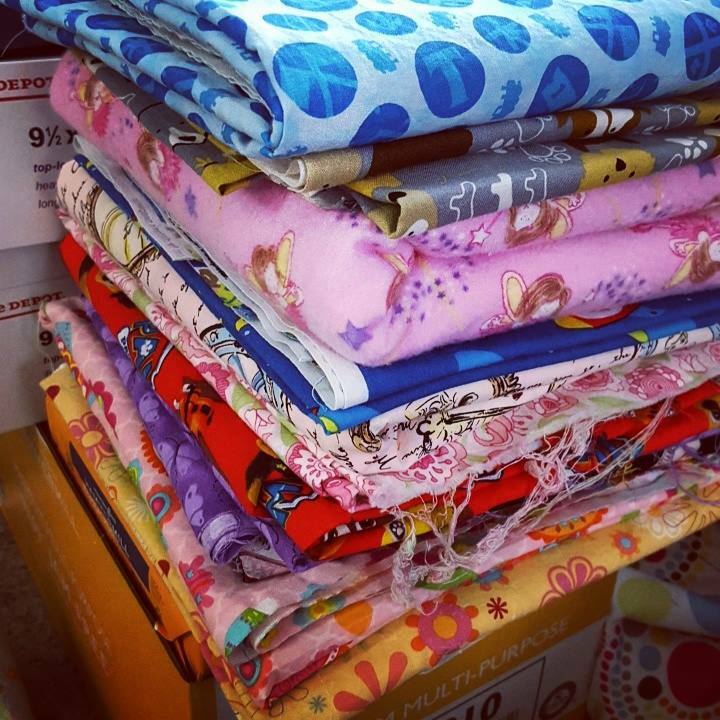 At Gracie's Gowns we accept fabric donations, sometimes the material isn't best suited for the gowns we make for children, but more times than not, we just have tons of remnant pieces of fabric from gowns we have made. ​Sometimes we are able to make reusable face masks, headbands, chemo bag covers, teddy bear capes, pillowcases, surgical caps, and doll sized hospital gowns from the pieces. The pieces we can make those items with, we send to volunteers who are ready and willing to help us sew them together. Other times, we just have too many leftover pieces in various sizes that we cannot use fast enough. Those pieces we donate to other groups and organizations for use in items they make that serve children across the globe.